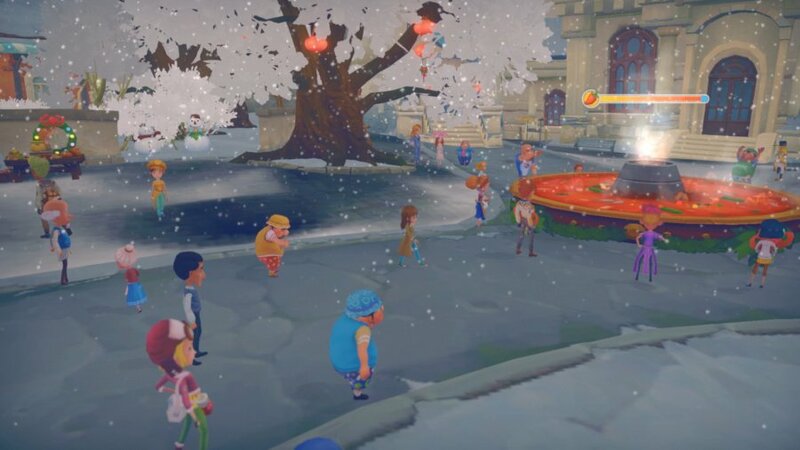 My Time At Portia is a charming life simulation game, revolving around your new life running a workshop in the post-apocalyptic town of Portia. 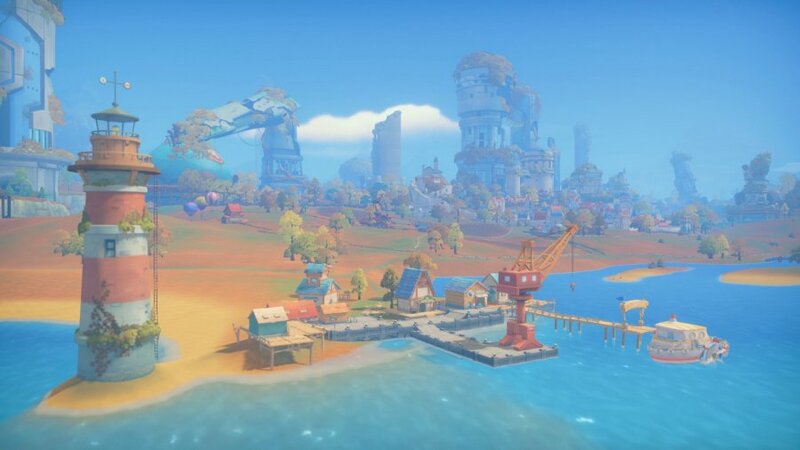 Unlike most such settings, Portia is brimming with vibrant colors and cheerful residents. However, the town still bears the scars of the apocalyptic event which ravished the world before. Humanity has only recently moved from the underground bunkers to the grassy fields above, and there are constant little reminders of this in the dialogue and scenery. 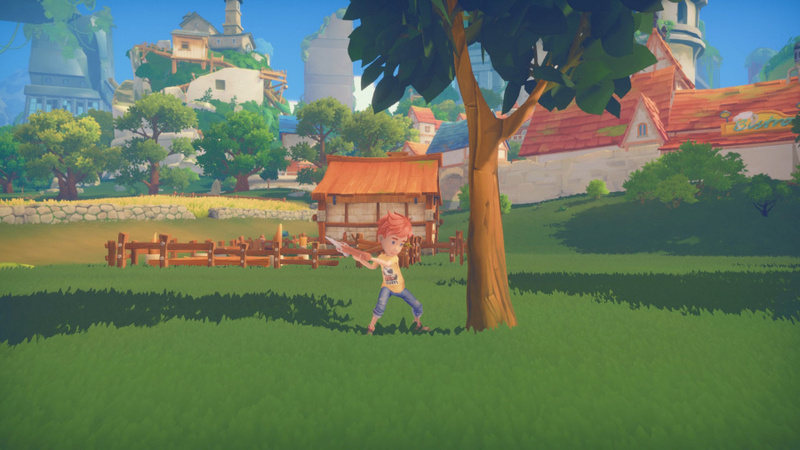 After an in-depth character customization menu, your character arrives in Portia to restore your father's workshop. The town desperately needs your skills to rebuild and, after gaining your builder's permit, you'll be free to take up commissions. Building itself is simple and involves collecting components to craft into items. Using the crafting bench outside your workshop, collected materials can be fashioned into furniture and other useful household items. For more serious work, you can use the assembly station to craft bridges, stone furnaces and other workshop staples to further your building capabilities. Inside your trusty assembly booklet are useful diagrams illustrating which craft materials you'll need for each job and how to find them. Once your building skills improve, you'll be able to put together more advanced furnishings and structures. Being able to resort back to the assembly guide and remind yourself of the items you need is a saving grace as the game's building schematics become more complex. Most items can be easily found around town and the surrounding fields, but acquiring some key crafting materials requires more extreme measures. Caves and ruins allow for mining and sometimes this method is the only way to collect particular stones and ores which are essential for many of the more complex schematics. If you're lucky, you may also come across relics amongst the ruins. These remnants of the old world can be used in a number of different ways. For example, you can choose to decorate your room with these items giving your character stat boosts. Collecting all related relics also leads to some nice surprises. Back in town, residents will post commissions on the notice board inside the Portia Commerce Guild and, using the materials you 've collected, you'll build the items needed the most. 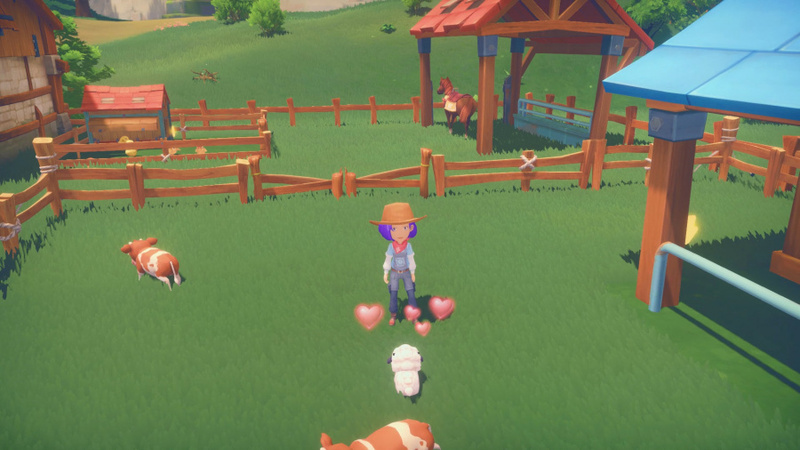 Completing tasks will not just earn you money though, as building objects for the residents is the best way to strengthen relationships and gain experience points. Residents range from doctors to farm boys and merchants. Friendships are strengthened by regular interaction, gifting residents presents, and playing mini-games with them. If you strengthen a bond with a particular resident to the max, you'll unlock the option to marry them. Depending on who you tie the knot with you'll receive discounts at certain stores and gain an extra pair of hands to help around your workshop. However, relationships take time to build, and you can easily undo the groundwork you've laid with one wrong move. One particular mechanic can be a little frustrating, as you may choose to give gifts to your new friends. However, there's little indication of which gifts fit each recipient, and, if you give someone an item they do not like, you'll lose relationship points, meaning you have to start rebuilding that friendship over again.